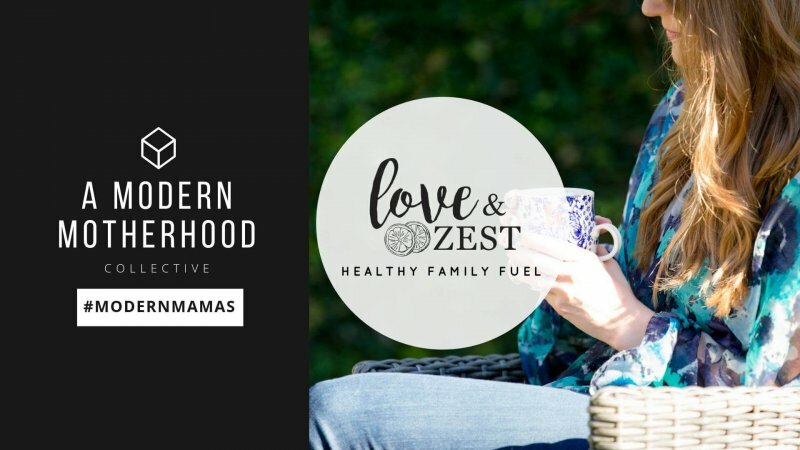 My RD/food blogger buddy, Carlene from Healthfully Ever After (whom I only wish I had half of her fashion sense and design skills), tagged me to participate in this “What I Ate Wednesday RD Edition”. The day started out with a super early morning, 4:30 am wake up call. We didn’t do CrossFit but I was pretty pumped about the day. First things first, coffee with a little half and half (not pictured, sorry– it was probably too dark anyways). 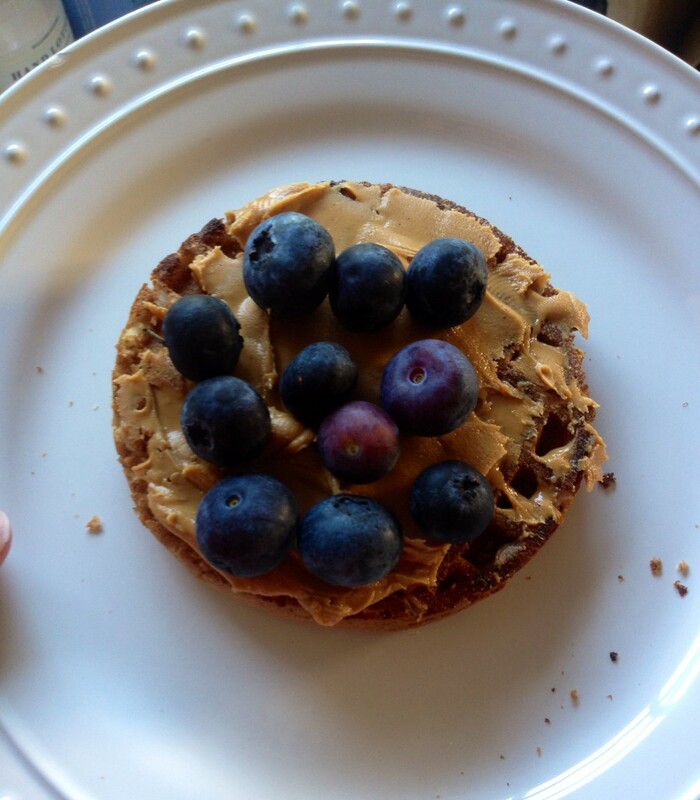 Around 5am I had a Van’s Gluten Free Ancient Grains Waffle with Peanut Butter and Blueberries. I usually wake up hungrier and crave eggs, but not this morning so I did a little reading until Eric woke up. We needed some groceries because of the packed Mother’s day weekend, so I headed to the store when they opened. 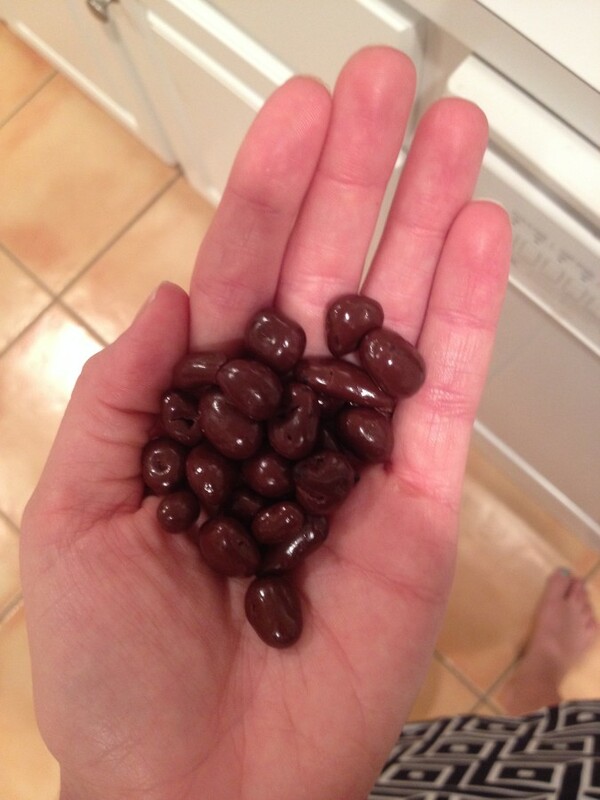 When I got home I snacked on a handful of Dark Chocolate Covered Plums while I put away the groceries. 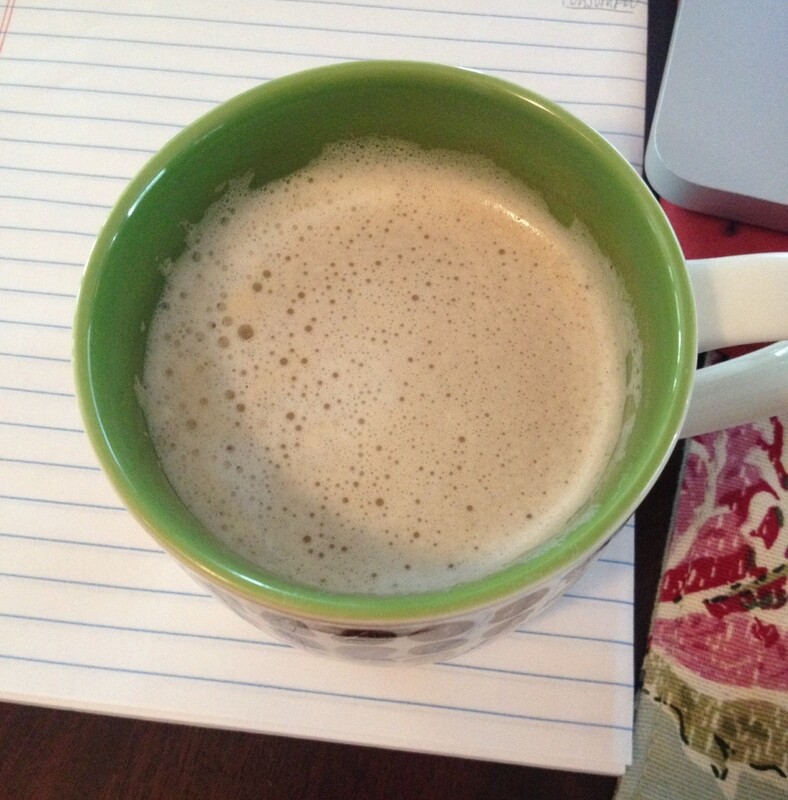 I started working on my computer and about an hour in I made a latte with 2% milk in my Nespresso machine. The only downer to homemade drinks is my mug doesn’t keep the heat in and after drinking a few sips it’s cold. 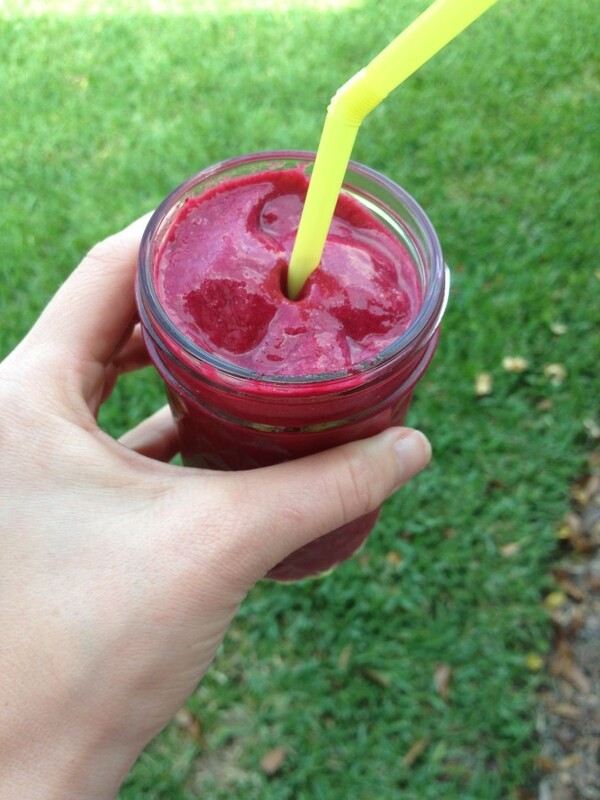 Around 10am, I made this Pink Power Detox Smoothie that I pinned a while back. I had peeled beets in the fridge so I took the plunge. It was pretty good, for a beet drink. I juiced a lime and added that as well to mask the beet flavors a bit more. Definitely could only finish half, it’s super filling and seems more like 2 servings to me. 1pm ish. 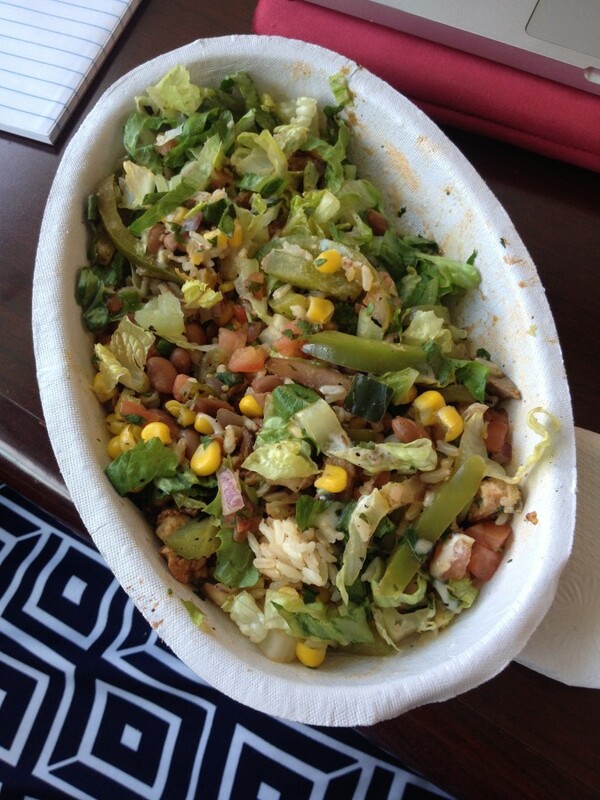 Chipotle Leftovers. Super good, of course! I’m not complaining about their big portions because if I’m hungry I can eat more and if not, I get leftovers! And $10 for two meals, I think that’s a pretty good deal too. 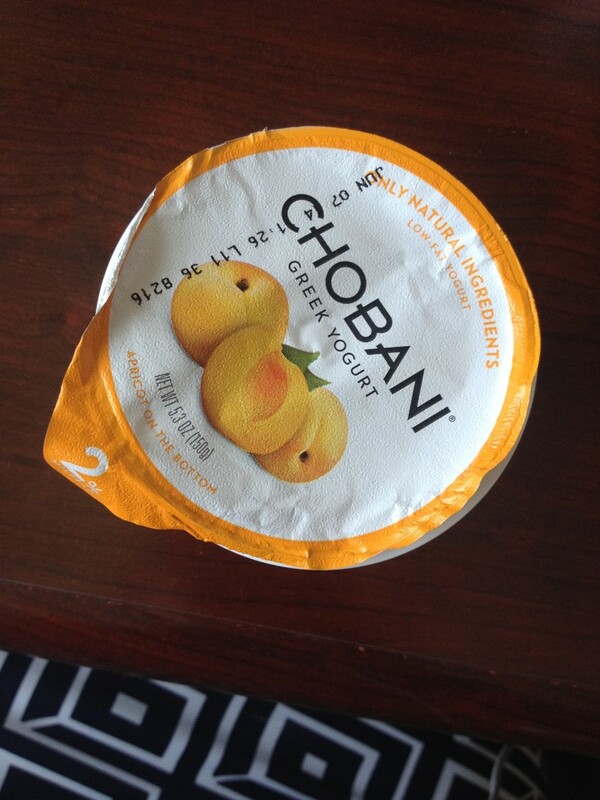 4pm Greek Yogurt, Chobani Peach… never disappoints. 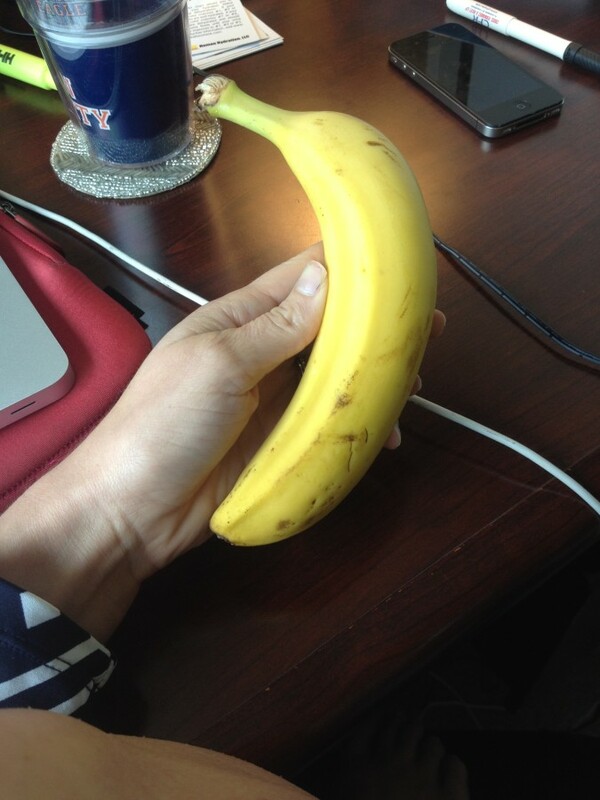 4:30pm Banana… I always get super hungry around this time. 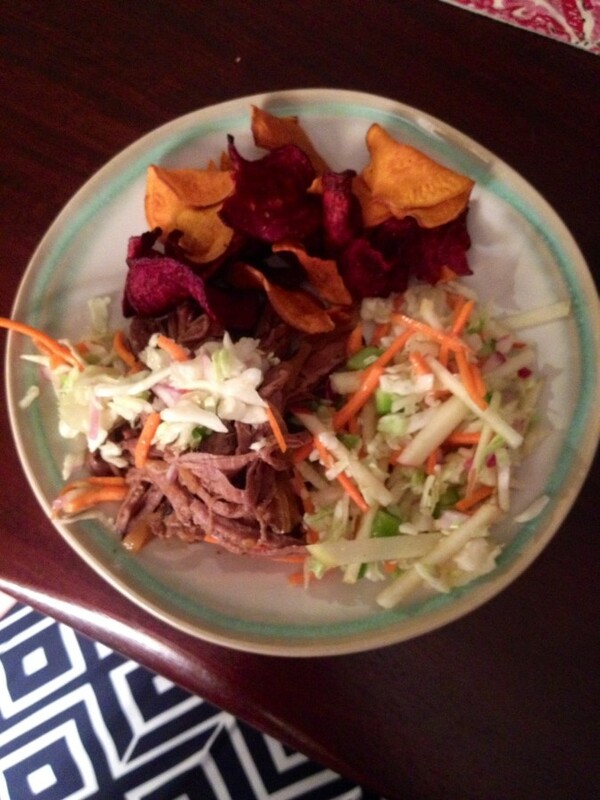 8:30pm Pulled Pork with Onions, Apple Slaw, and Sweets & Beets Chips. Mondays are marathons for us because we attend ReGroup at our church. This meal was the real deal, comfort food, and needed on a Monday night when you’re exhausted. Homemade Chocolate Ice Cream… I had a craving for fro yo but was too tired to go out, so I whipped up a batch of ice cream with chocolate milk, cream, and sugar. Omgosh, it was like chocolate milkshake flavor! Yummy end to the night. 1) Copy and paste this section (marked within the ******) to the bottom of your WIAW blog post. 4) ‘Tag’ 2-3 other dietitians to carry on the tag via email! I definitely live by the 80/20 rule as well. Last month I saw Jillian Michaels speak last month, and she stressed that it’s important to follow this rule daily, not just eat 100% healthy during the week and have all your splurging on the weekend. I thought this was a great tip and I’ve been living at that- I feel like I’m going less “crazy” on the weekends these days. I enjoy the feeling of balance… if I’m not there (on either side of the spectrum), my body will naturally rebel or prompt me to recalibrate. 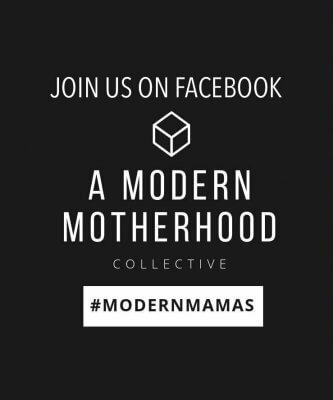 Kinda like if you’ve been eating out, you crave fresh foods in… following moderation daily keeps me balanced and not obsessed about what I eat. I’m a big fan of the waffle PB breakfast combo too! Thanks for the tag! eating that combo right now.. with chia seeds! I live by the 80/20 rule also. Today at work, the hospital was giving away ice cream sandwiches for hospital week, and I grabbed one. 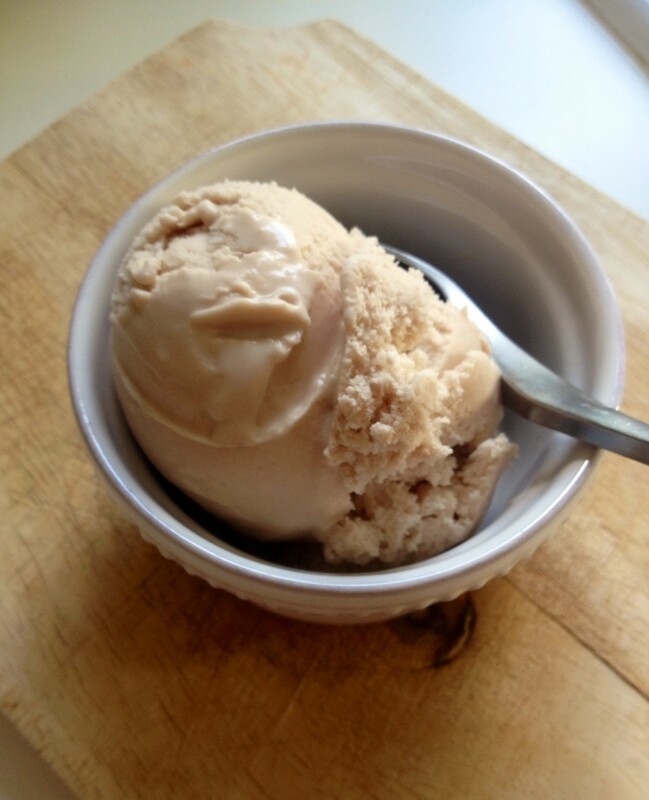 Everyone in the office gasped and said “You’re going to eat that? 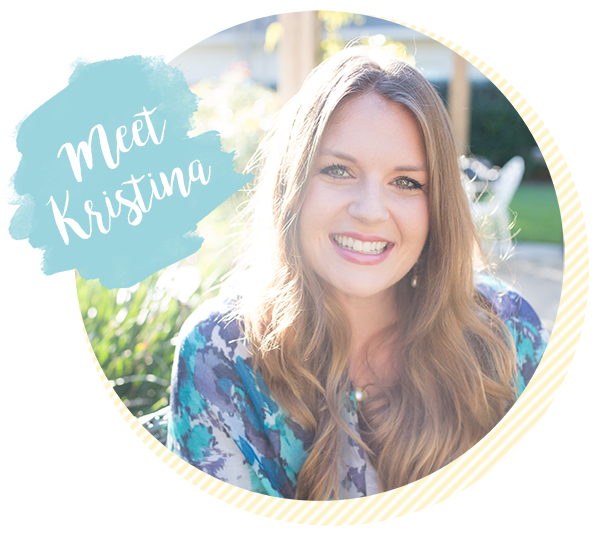 ?” I had to explain that no one can eat perfect all the time and I follow the 80/20 rule. You have to save room for treats! Just because we’re dietitians doesn’t mean we are perfect eaters! Right there with you Emily! What is a perfect eater anyway? !